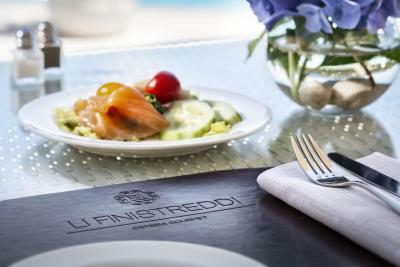 Lock in a great price for Hotel Li Finistreddi – rated 9.2 by recent guests! thank you for the kindness of the team. You made our stay a perfect vacation. Everything- this place is amazing! Go for lunch or dinner the kitchen is awesome or stay the night. Breathtaking experience! 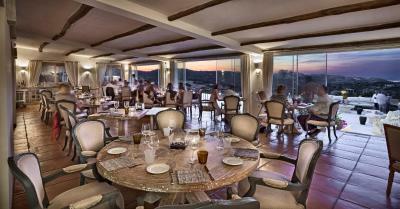 Friendly attentive staff, excellent food, excellent wine list and its quiet location. Excellent hotel. Room was lovely. Staff were very helpful. Food was very tasty. 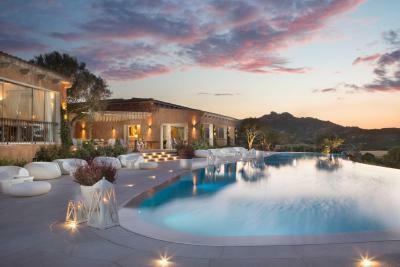 Beautiful hotel, two swimming pools. We had big room with a nice terrace. Nice breakfast and lunch. 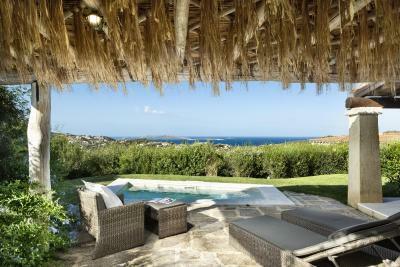 Exceptional location and service, breathtaking view! Rooms are clean, comfy, equipped with all necessary. The staff is TOP: caring, attentive and ready to go the extra mile to ensure you have the perfect stay. Restaurant in loco highly recommended with good choice of dishes and local wines. 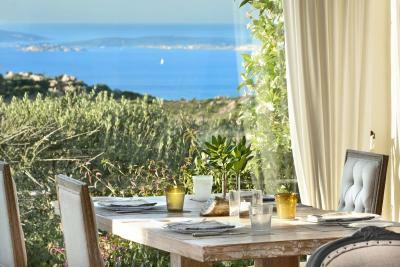 We had a very enjoyable lunch upon arrival and an amazing dinner under the stars overlooking the Sardinian sea... Looking forward to come back!! This property it's probably the best get away you can have. Quite isolated, but with so many amenities. Everything was just like in the pictures they show. Would have loved to spend more nights there and enjoy all the facilities. Beautiful property with great view. 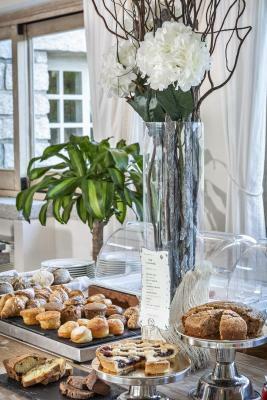 Excellent staff, great breakfast. 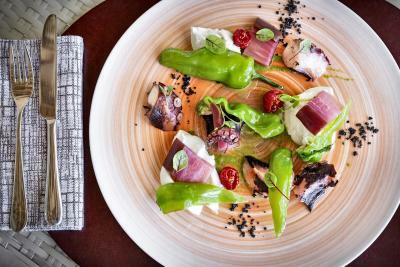 Chilled atmosphere and high end dining experience. Hotel Li Finistreddi This rating is a reflection of how the property compares to the industry standard when it comes to price, facilities and services available. It's based on a self-evaluation by the property. Use this rating to help choose your stay! 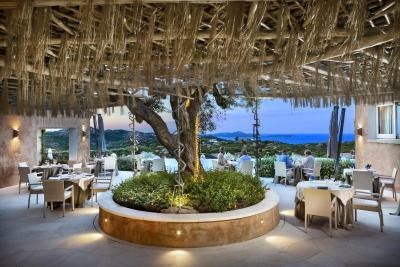 One of our top picks in Cannigione.Offering views of the Maddalena Archipelago at the horizon, Li Finistreddi is set on a green hill in northern Sardinia. It features an outdoor swimming pool, a fitness corner and a restaurant. 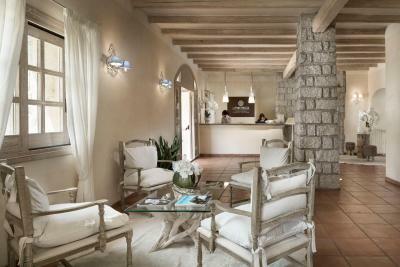 All the air-conditioned rooms at Hotel Li Finistreddi are provided with a balcony and free WiFi. 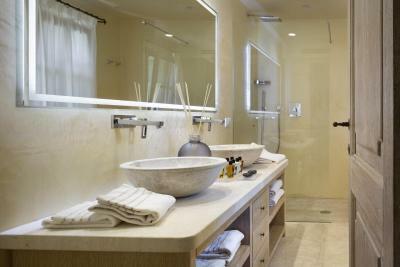 They include a private bathroom with shower, international satellite channels and a mini-bar. 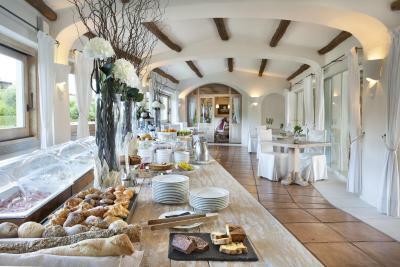 Guests start the day with an extensive breakfast buffet. 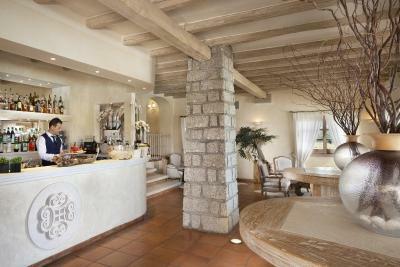 The Osteria Gourmet restaurant offers traditional Sardinian food as well as classic Italian and international dishes. The fitness corner comes equipped with a sauna, a hot tub, and fitness equipment. There is also a tennis court available for guests. 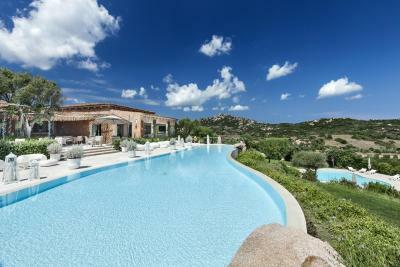 The property is located in the Micalosu area of Cannigione di Arzachena. It is 9.3 mi from Palau. This property is also rated for the best value in Cannigione! Guests are getting more for their money when compared to other properties in this city. When would you like to stay at Hotel Li Finistreddi? 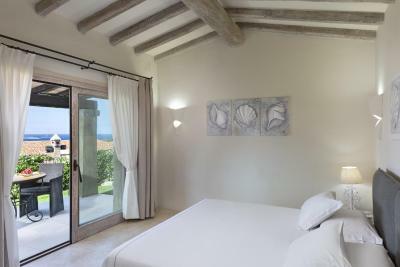 Featuring a balcony with partial sea views and free WiFi, this room comes with international satellite channels, a mini-bar and a private bathroom with shower. 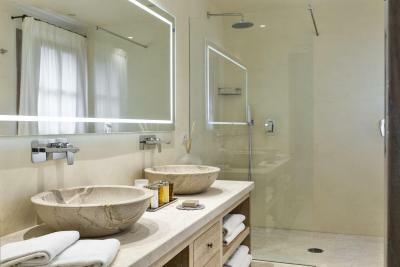 This spacious suite features marble floors, sea views, and a balcony. This large twin/double room features a balcony, bathrobe and mini-bar. 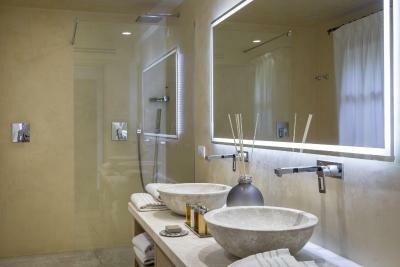 House Rules Hotel Li Finistreddi takes special requests – add in the next step! ATM card Hotel Li Finistreddi accepts these cards and reserves the right to temporarily hold an amount prior to arrival. Hotel Li Finistreddi accepts these cards and reserves the right to temporarily hold an amount prior to arrival. Excellent hotel and location, as we expected from the description. It is very remote, and if visiting you definitely need a car. Taxis are easily available but quite expensive - about 20 euros each way to the nearest town, which is about a five minute drive, 60 euros to Porto Cervo which is about 20-30 minutes. We hired a car on the second day, after the expensive taxi ride to Porto Cervo. Much better, and cheaper, to hire one before you go or at the airport, as to arrange via the hotel they wanted about 80 - 100 euros a day, whereas you can get a weeks hire for about 150 euros on line. There are several car hire places in Cannagione (the nearest town) as well. 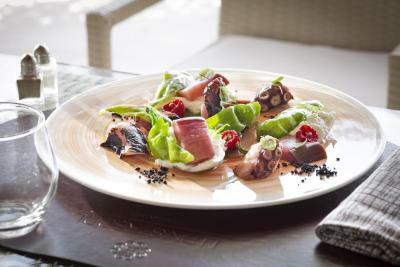 The restaurant is excellent, although limited - very much a gourmet experience which is great but too much for every night. Breakfast excellent too, although you have to pay for extras over and above the buffet items, like Pancakes or boiled eggs which were pricey at 8 euros. We went at the end of May, weather was hot with one or two showers, on the whole we had the place to ourselves with only one or two other couples there. When we first arrived we thought it would be too quiet but soon got into it. Although it was so empty - one night we were the only ones in the restaurant - the staff are not in your face, but there are plenty of them and they seem to be able to pitch it just right with the level of service. Room service is available which we had a couple of times. 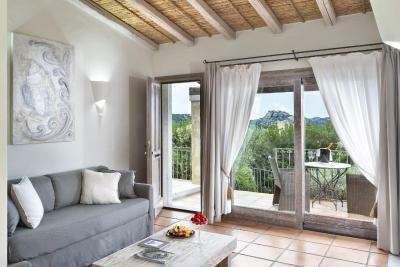 All rooms have balconies or terraces with tables. There are two pool areas, the upper one (shown in the promotional pictures) is gorgeous, with fabulous views, but the chairs and benches are very Italian - look beautiful but impossible to sit on. The lower pool is also beautiful, with loungers that are, again, very comfortable to lie on but no good if you want to sit more upright to read, for example. It is very private, but with the downside that the hedging obscures the view (I am being picky now! Ok we were pre season guests and spoiled with unlimited attention by the staff. All very well trained and experienced and on top super friendly - perfect compromise between kids friendly holiday and some quality time for the parents... a big thank you to the whole team - we had a great time !